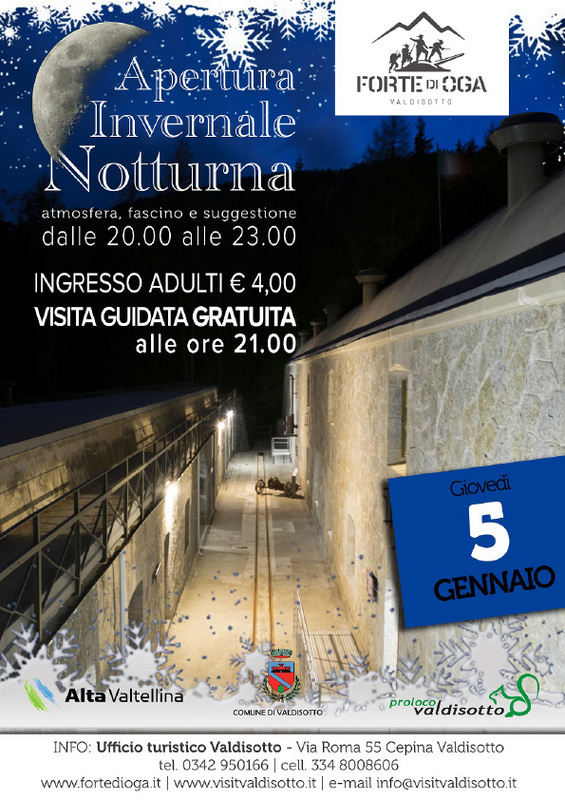 Thursday 5th January 2017: special night opening of the OGA FORTRESS in Valdidentro, from 8.00 to 1.00 pm, everybody can visit the Italian military fortress of the first world war, recently restored, in the enchanting night atmosphere. the marvellous view of theBormio Valley is guaranteed. The entrance fee is 4.00 € (adults) and it includes the guided tour that starts at 9.00 pm.